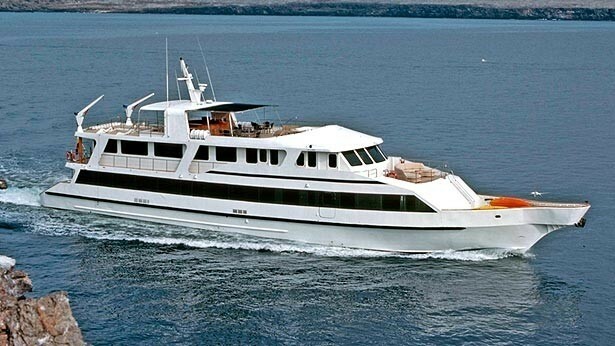 Yacht INTEGRITY is luxury motor yacht measuring 141ft (43.0m) in length. 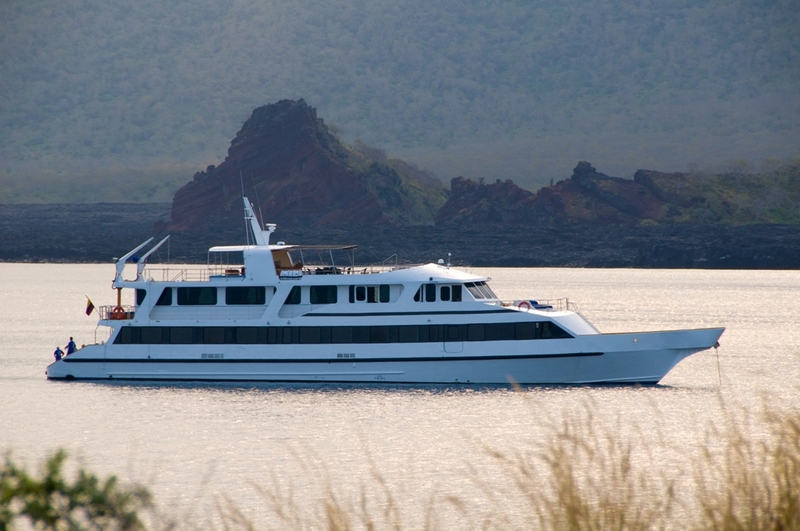 She was built in 1997 and refitted in 2004. 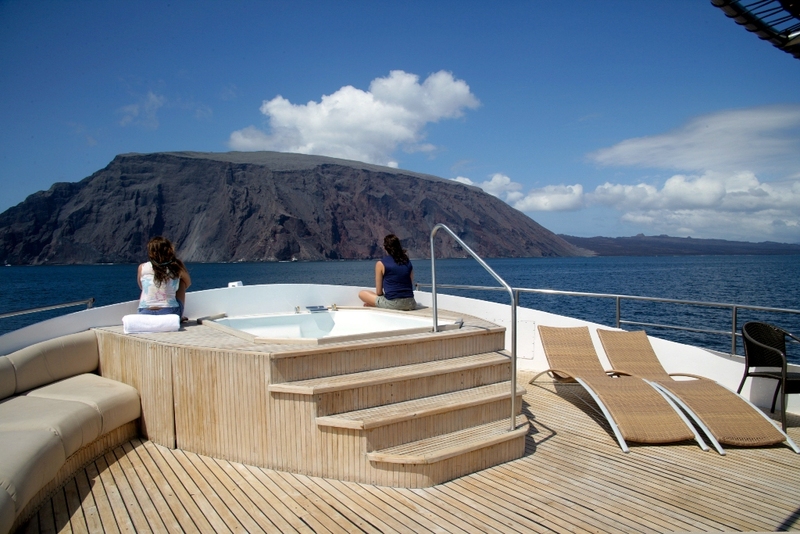 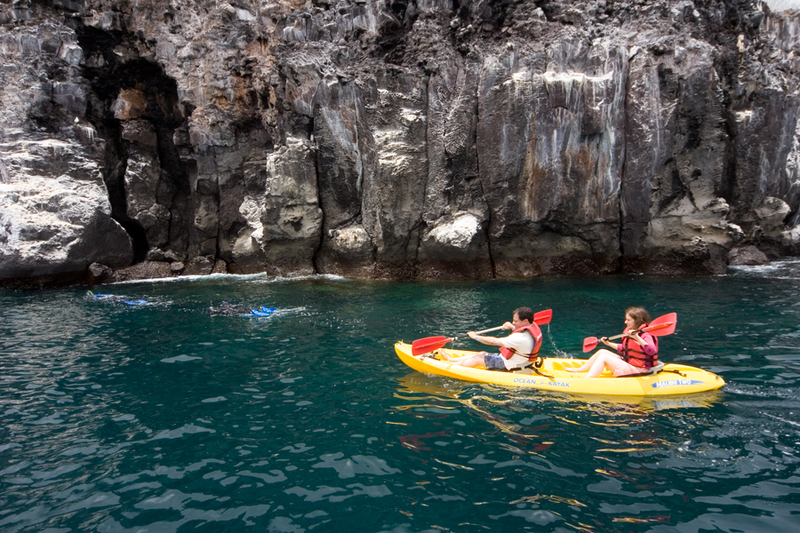 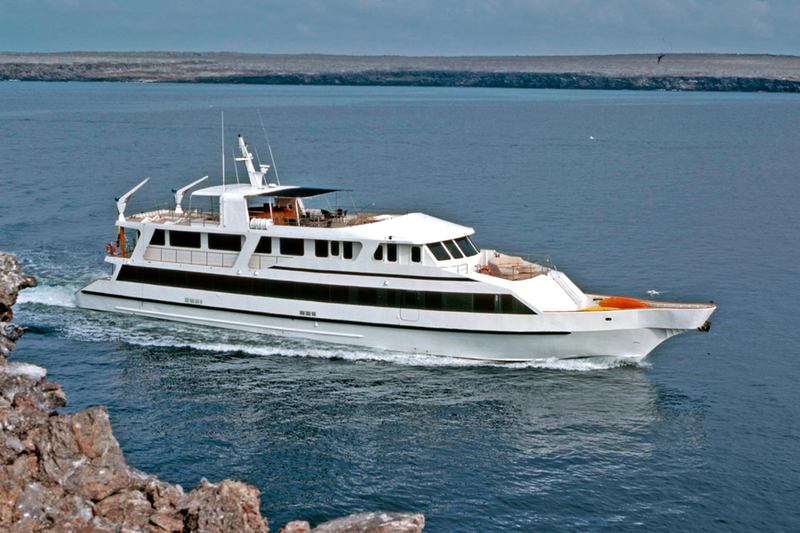 The INTEGRITY motor yacht is able to accommodate up to 16 guests and charters in the spectacular exotic and beautiful destination of the Galapagos Islands! 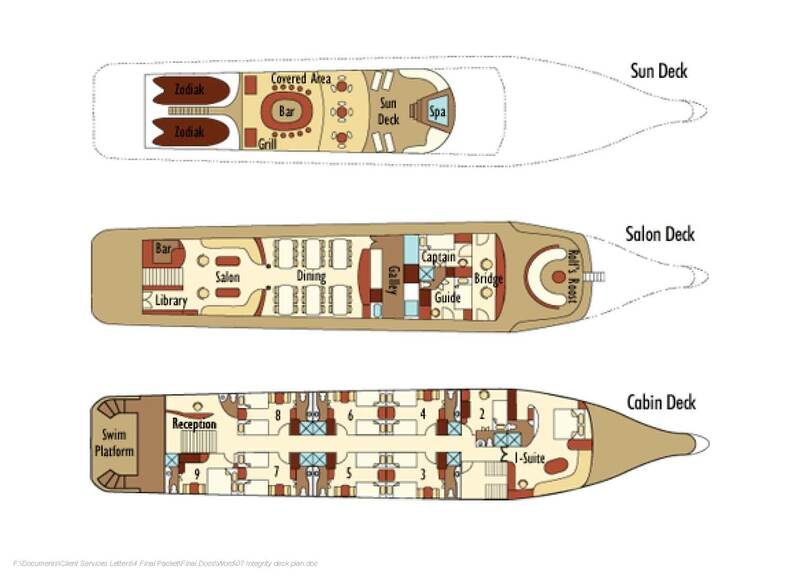 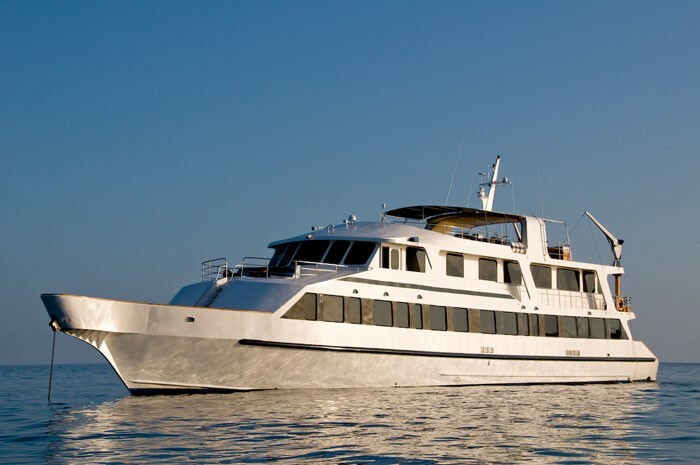 M/Y INTEGRITY is able to accommodate 16 guests in 9 cabins. 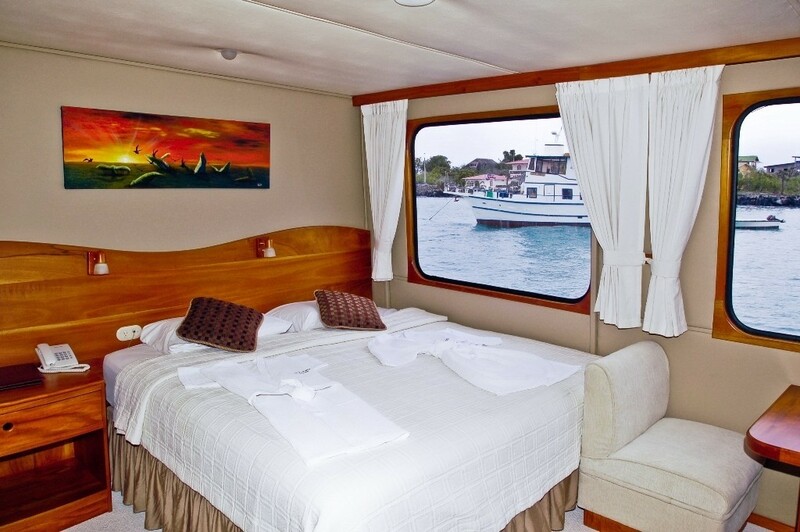 The Master cabin has a king size bed, shower and toilet. 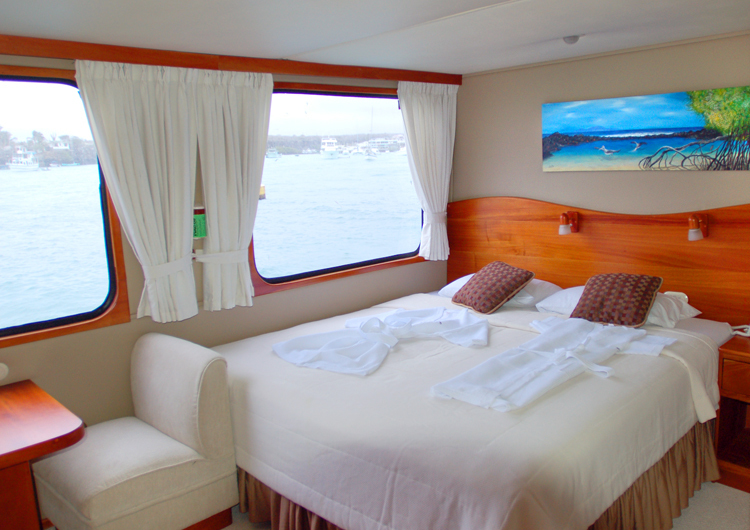 7 Guest cabins have a twin bed, shower and toilet and can convert to a king sized bed. 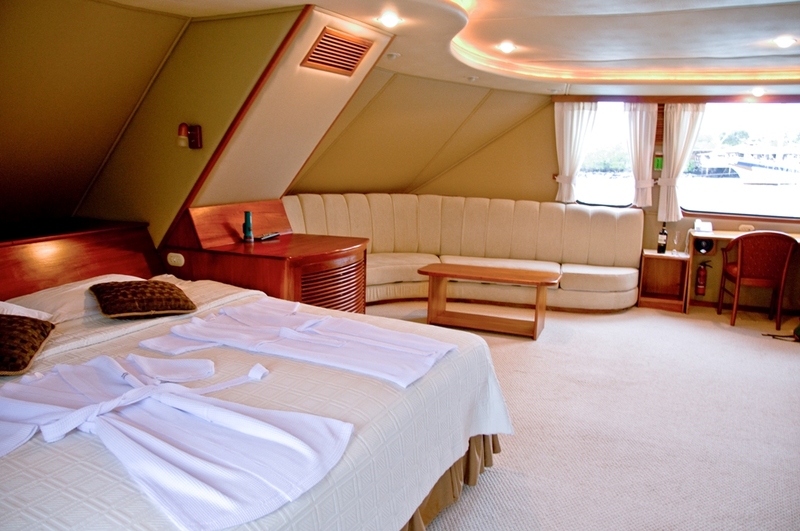 A Guest cabin has a queen size bed, shower and toilet. 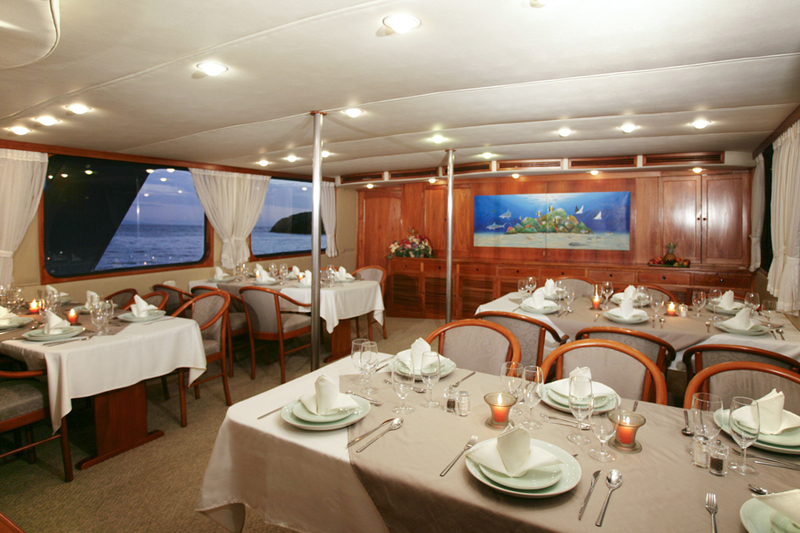 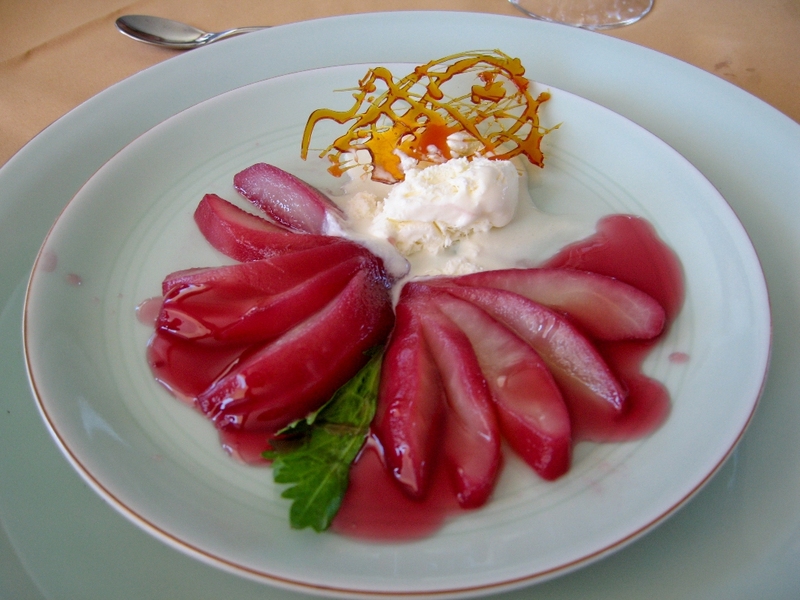 Charter yacht INTEGRITY is fully air conditioned throughout. 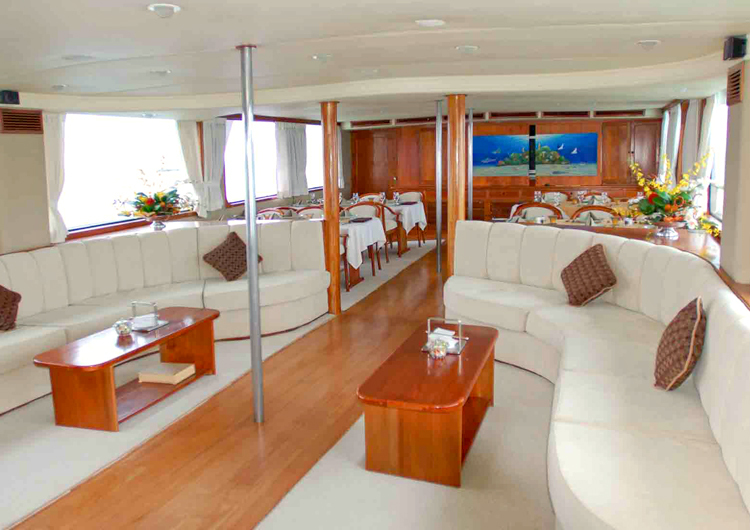 M/Y INTEGRITY has a crisp clean interior with warm wood tones and white décor, the salon and dining area are on the 1st deck, forward the formal dining offers seating for 4 – 6 guests per table, the salon is aft with 2 large sofas either side. 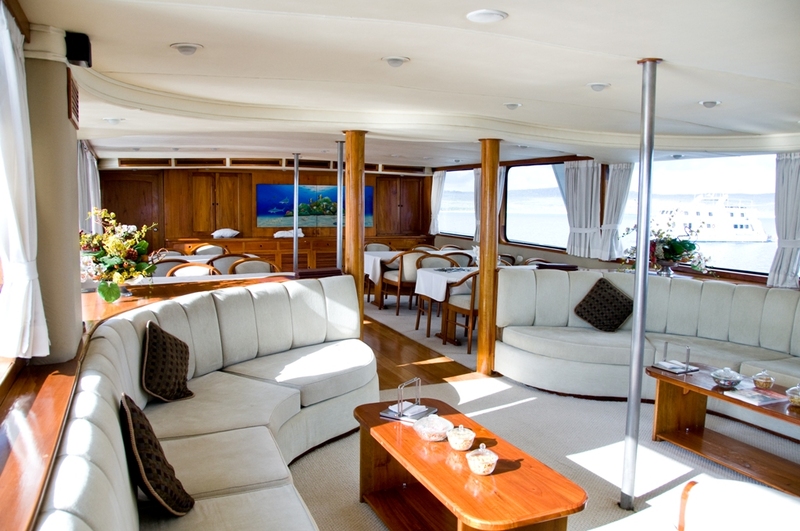 Yacht INTEGRITY boasts oversized windows allowing for ample natural light and brilliant views. 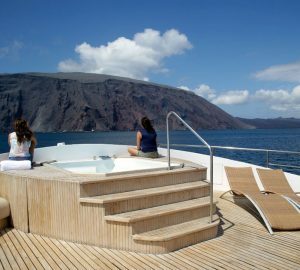 Luxury charter yacht INTEGRITY has wonderful deck space; the top deck is completely dedicated to the outdoors with a partial awning for those who prefer shade, a spa tub, chaise lounges and a bar. 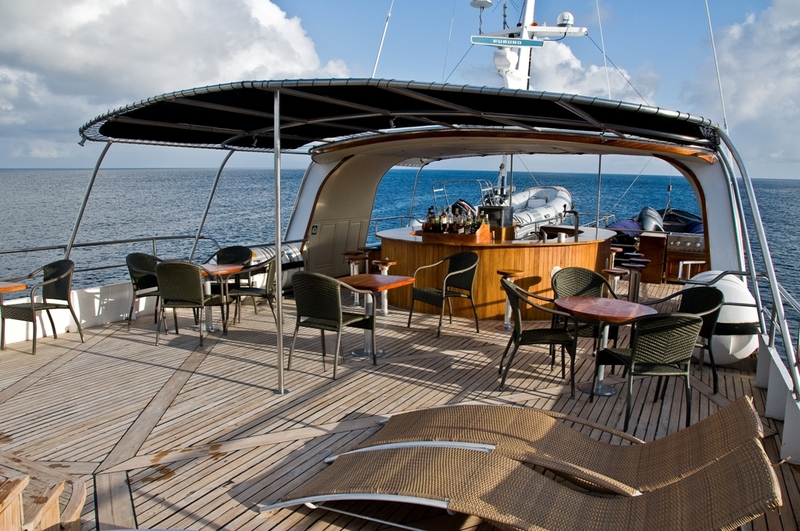 On the foredeck there is further seating on a large U shaped sofa. 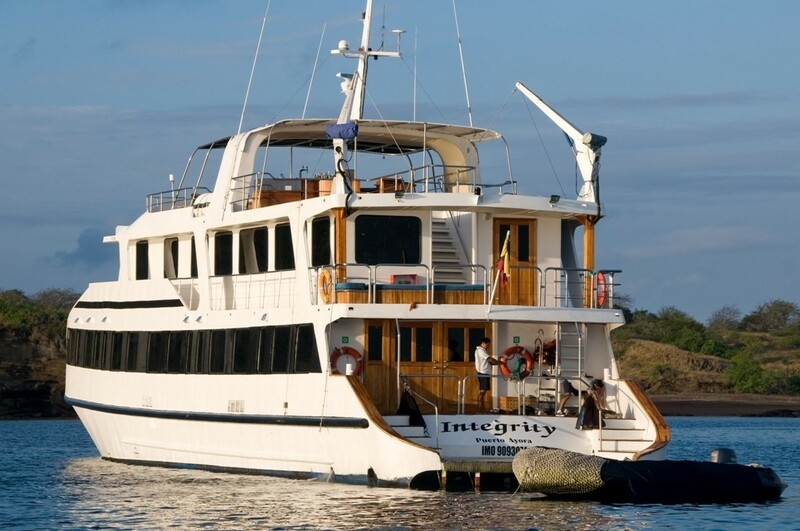 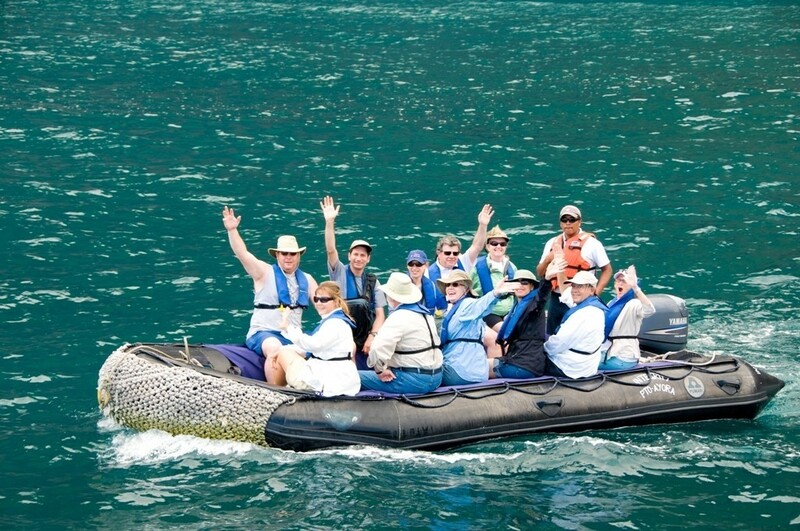 The charter rate for Galapagos Yacht INTEGRITY includes all transfers in Galapagos, 7 days cruise on board of the INTEGRITY in double accommodation with all facilities, English speaking naturalist guide, purified water free to drink, non-alcoholic beverages, draft beer. 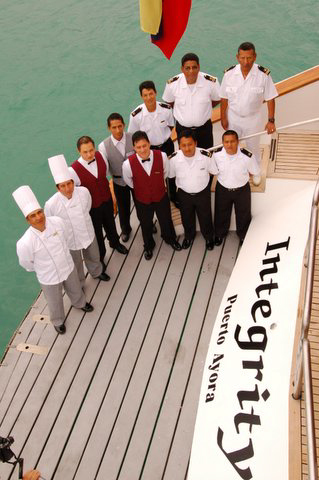 M/Y INTEGRITY is able to accommodate 16 guests in 9 cabins. 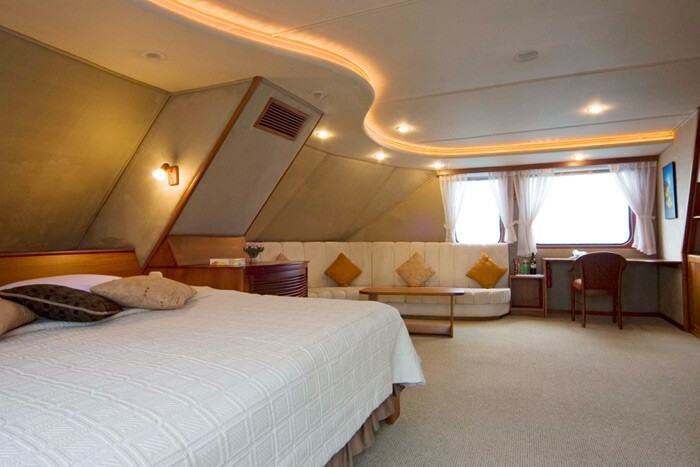 The Master cabin has a king size bed, shower and toilet. 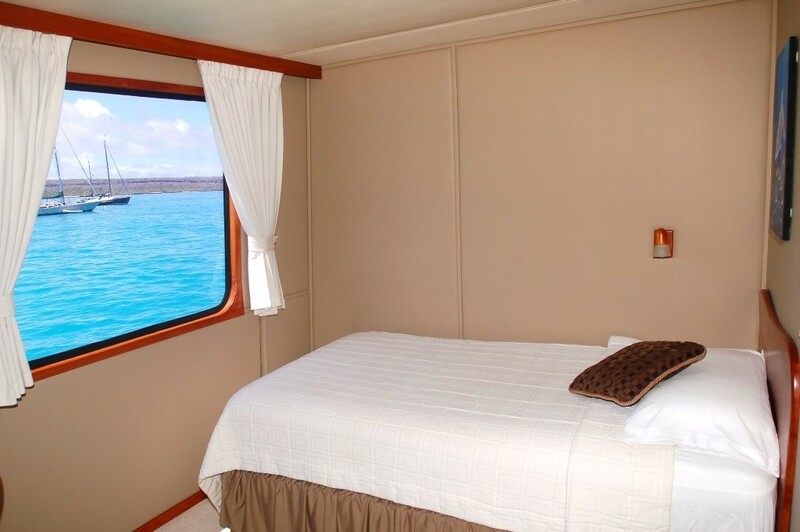 7 Guest cabins have a twin bed, shower and toilet and can convert to a king sized bed. 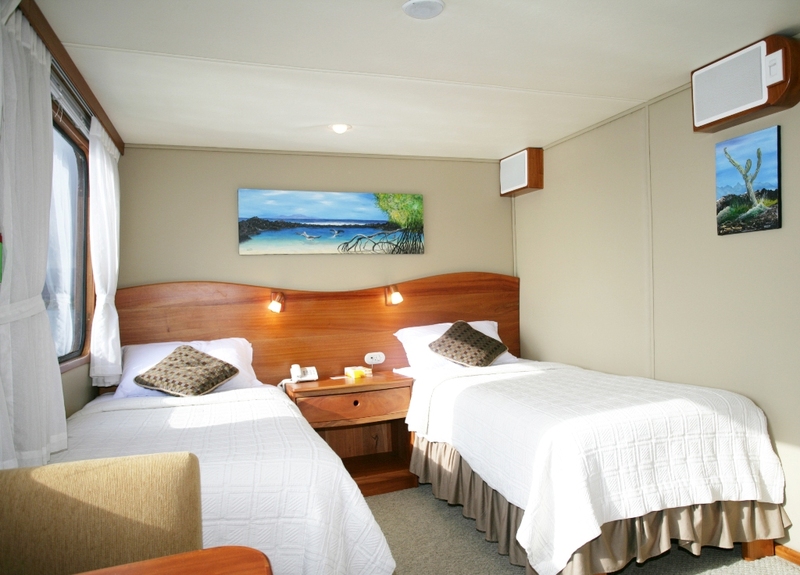 A Guest cabin has a queen size bed, shower and toilet. 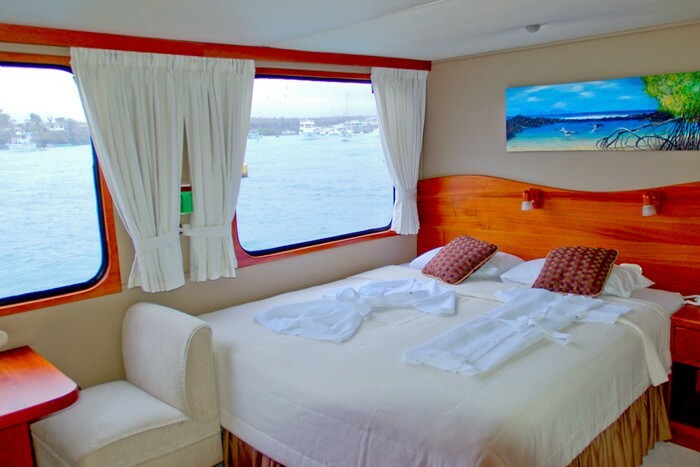 Each cabin has large picture windows, individual climate control, satellite telephone, a refrigerator, and an entertainment center with CD/DVD, VHS, and LCD monitor. 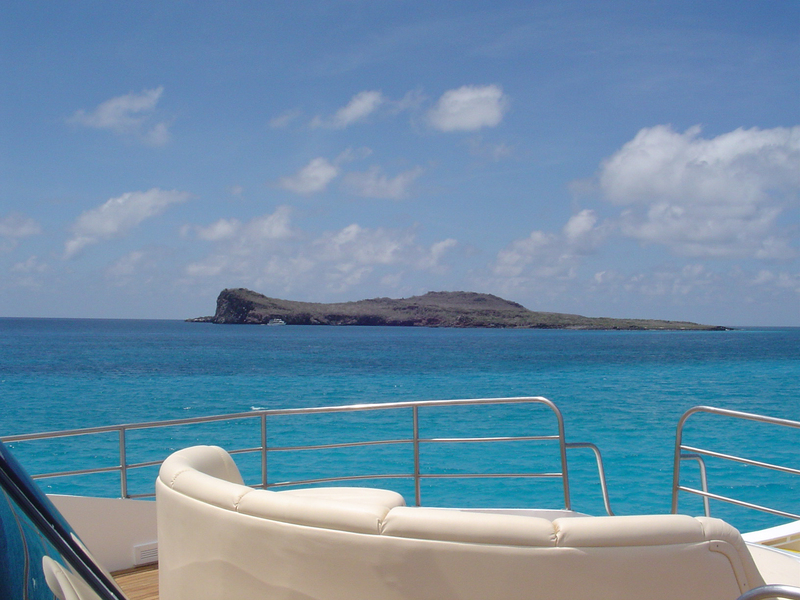 Charter yacht INTEGRITY is fully air conditioned throughout.